While there is no reference to distance education in the Education Act, 2016, pursuant to section 8 of the School Act, 1988, there have been two Ministerial Directives concerning distance education (i.e., first Ministerial Directive No. MD 2001-05, which was superseded by Ministerial Directive No. MD 2008-05). According to MD 2008-05, distance education was defined as “ a mode of instruction in which the student and teacher are separated in either time or space or both, and where two-way communication takes place through non-traditional means for the most part. There is a broad range of both individualized and team instructional approaches and strategies used in distance education. Distance education communication may utilize various technologies and media, including but not limited to print, computers and computer networks, telecommunications, and audio-visual equipment and resources.” Internal regulations continue to be driven by this Ministerial Directives, which applies to courses delivered during the regular school day. The directive also outlines a series of beliefs about the nature of distance education instruction. Additionally, individual schools and districts that participate in distance education programs must adhere to guidelines found in the provincial Distance Education Handbook document. The updated document specifies the use of distance education for students in particular circumstances. 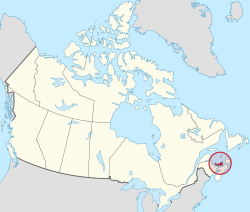 At present there are no K-12 distance education programs in Prince Edward Island. Through an inter-provincial agreement students in Prince Edward Island are funded to take online courses from the New Brunswick Department of Education and Early Childhood Development. During the 2016-17 school year there were 18 French first language students and 64 English language students enrolled in online courses through this agreement. According to the Department, there was no intentional blended learning (i.e., specific projects or initiatives) occurring in public schools. According to the Department of Education, Early Learning and Culture, historically students could enroll in correspondence courses offered through the New Brunswick Community College system to gain secondary school credit with certain restrictions. Beginning in the early 2000s, Prince Edward Island schools had used a locally developed distance education video conferencing system. Throughout the decade the use of this method of distance education decreased significantly. In fact, since the beginning of this study in 2008, the video conferencing system was used solely for the purpose of French-language school board high school courses. During the 2010–11 school year, there were two students enrolled in a single course offered through this system. There was no video conferencing activity for distance education purposes in 2011–12. While still available, this system has not been used for teaching purposes since 2014. In addition to the provincial video conferencing system, students in Prince Edward Island have the ability to access some online courses offered by the New Brunswick Ministry of Education. This ability appeared to correspond with the decline of the province’s own video conferencing distance education. The Department of Education and Early Childhood Development approves distance courses by correlating outcomes found in online programs to those found in the Prince Edward Island authorized curriculum documents. Students must apply in advance to enroll in approved courses through their school principal. Students completing online programs are awarded the Prince Edward Island equivalent course on their school mark transcripts. As Prince Edward Island does not offer any distance education programs of its own, students from other jurisdictions are unable to enroll in their courses to receive credit.